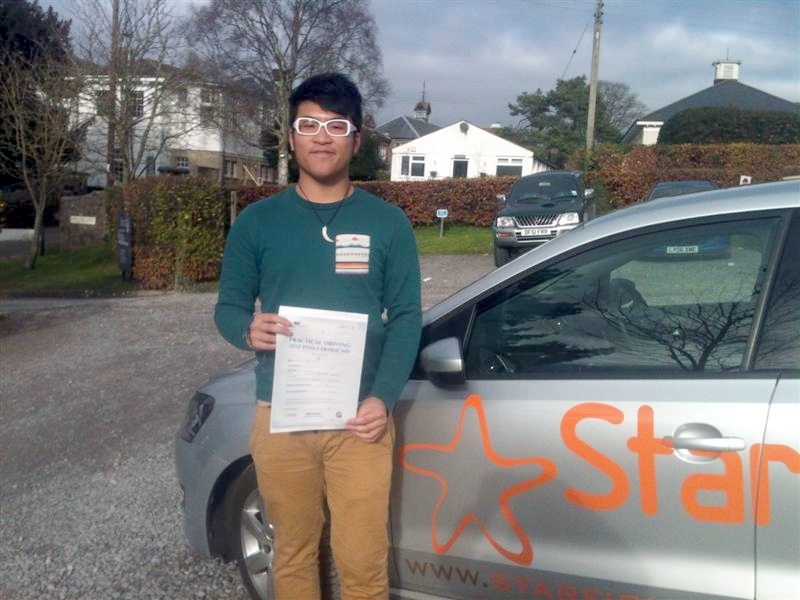 Darwin Li with his Practical Driving Test Pass Certificate at Sidcot School. Well done to Darwin Li from Hong Kong who is a boarder at Sidcot School on passing his test on 28th November 2012. All the best with your studies from Sharon & all the team at Starfish Driving. This entry was posted in Driving Lessons, Hong Kong, Sidcot, Weston Super Mare and tagged Driving Lessons, sidcot, weston-super-mare. Bookmark the permalink.